Born in Detroit, saxophonist and composer JD Allen has risen to prominence through a string of critically acclaimed recordings featuring various ensembles. He’s also been featured as a dynamic sideman with acclaimed bandleaders such as George Cables, Cindy Blackman, Winard Harper, Lester Bowie and Betty Carter among others. 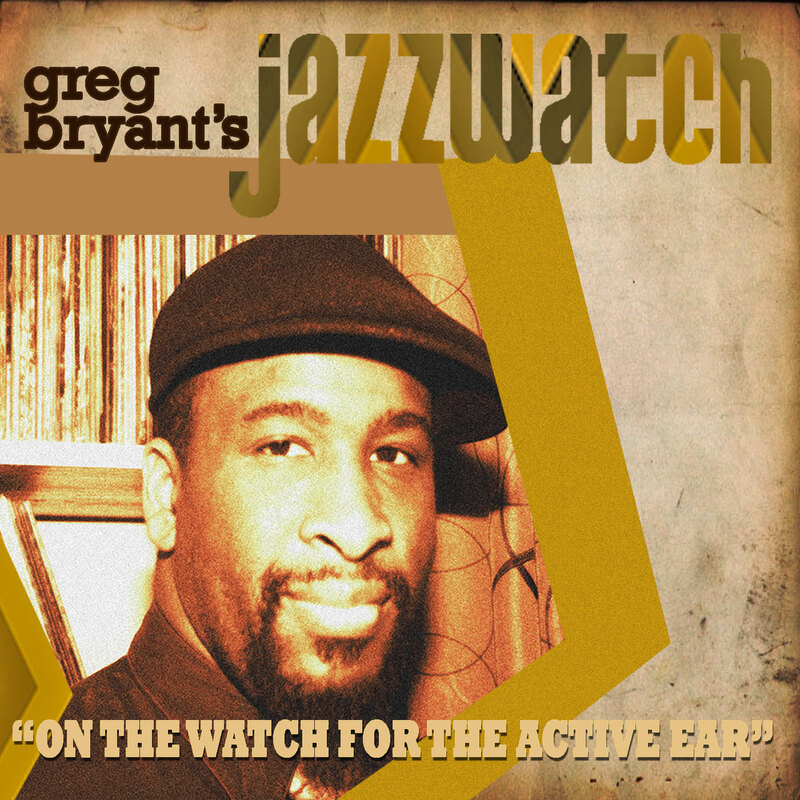 His current trio with drummer Rudy Royston and bassist Gregg August displays their unique concept of songs within songs on their latest project, “Graffiti” for Savant Records. It was great to speak with JD Allen who’s an exciting improviser and is is a force for good in the continuing cause of advancing creative music. As an improviser and composer saxophonist Dayna Stephens has risen to prominence due to his unique sound and conception. His collaborations with stellar musicians such as Ambrose Akinmusire, Brad Mehldau, Taylor Eigsti, Kenny Barron and Walter Smith III reveal a patient player comfortable among a wide variety of expressions. It was great to talk with Dayna about his life in and outside of the music. He also happened to be weeks away from a kidney transplant that has now been re-scheduled for late September. Although he says he’ll break from public playing for just a couple of months to recuperate, Dayna has an unmatched ethic and we’re anxious to see what he will reveal musically in the year ahead. Alto saxophonist Rudresh Mahanthappa’s recording “Bird Calls” isn’t a tribute, but rather a “devotion” to the energy and spirit of Charlie Parker. His incredibly energetic quintet featuring pianist Matt Mitchell, bassist François Moutin, drummer Rudy Royston, and 20-year old trumpet prodigy Adam O’Farrill executes the project’s vision expertly— to play distinct, original compositions directly based on a Parker solo or composition that are never imitative. It seems as though it’s almost the perfect setting for Mahanthapa’s sound and conception. He’s blazing here. As “Bird Calls” is already earning critical praise, it should prove to be a landmark in Mahanthappa’s evolving catalog and career as he continues to earn diverse distinctions and acclaim from groups such as the Rockefeller Foundation, Downbeat Magazine, Doris Duke Foundation and Chamber Music of America. Alto and soprano saxophonist Jaleel Shaw is a gifted band leader, educator and all-star sideman. Hearing Jaleel with the legendary Roy Haynes, the Mingus Big Band or as the front man in his critically acclaimed groups will reveal a player well-versed in tradition with a commitment and dedication to the present. In our conversation, Shaw shares with us his musical roots in Philadelphia, his evolution as a independent musician and how composition can be a foreshadowing of things to come. All three of his CDs as a leader have been praised critically and popularly. If you haven’t heard his latest, “The Soundtrack of Things To Come,” be sure to investigate it. It captures Shaw’s working quartet in several transcendent moments investigating the music at hand with an integrity that is not easily matched or attained. Dara Tucker has a voice that is equally memorable and refreshing. As she draws from gospel, singer-songwriter, soul and jazz artists both past and present, she’s been able to catch the ear and attention of noted artists such as Cassandra Wilson, Dr. Lonnie Smith and Charlie Hunter. Her original compositions found on “The Sun Season” uplift and celebrate the human spirit with an energy that is accessible to fans of jazz and beyond.